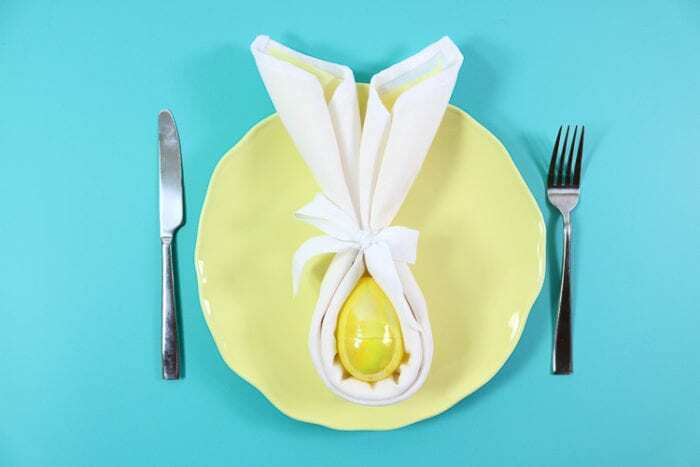 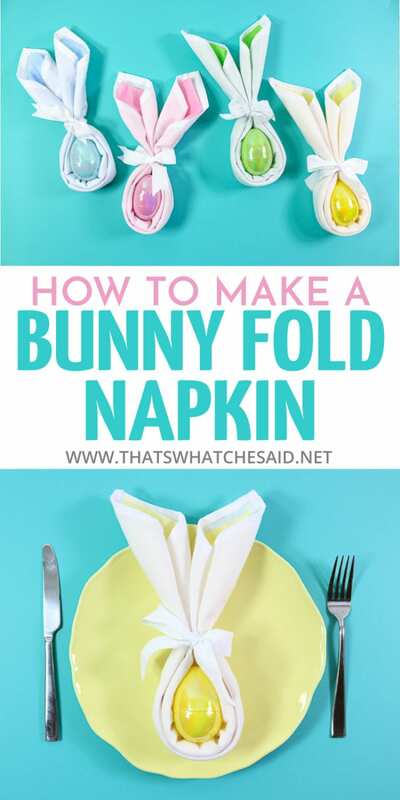 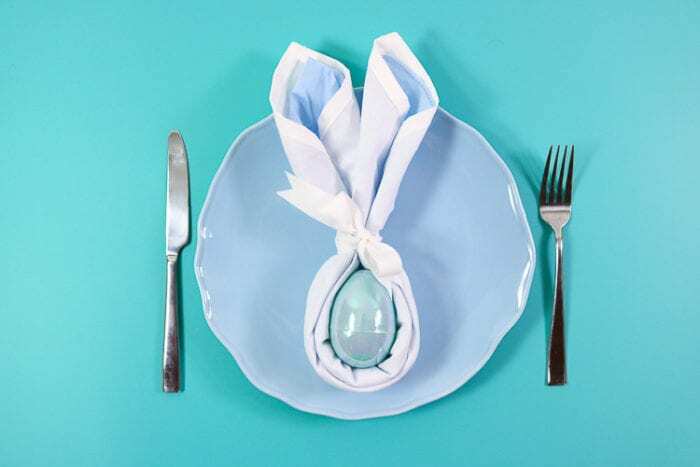 Make your Easter Place Settings extra cute this year with these easy directions on how to make a bunny napkin fold. 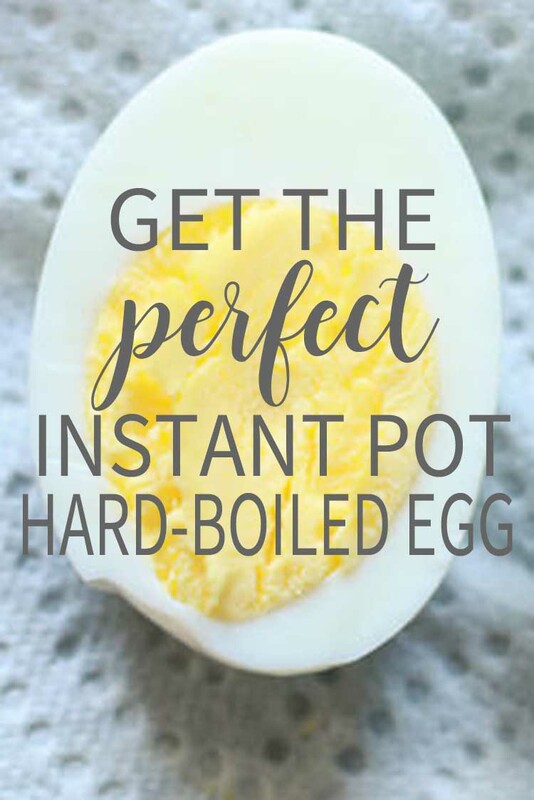 Fill the eggs with an after meal (or before) treat! 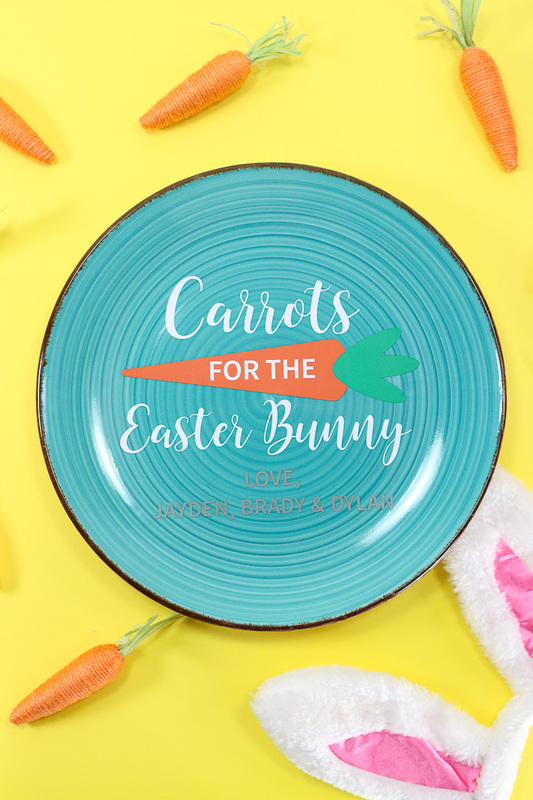 Personalize place settings by adding vinyl or hand lettered names to the eggs! 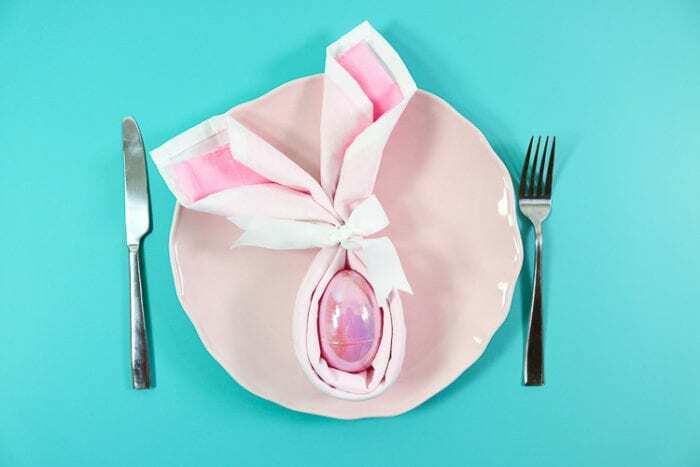 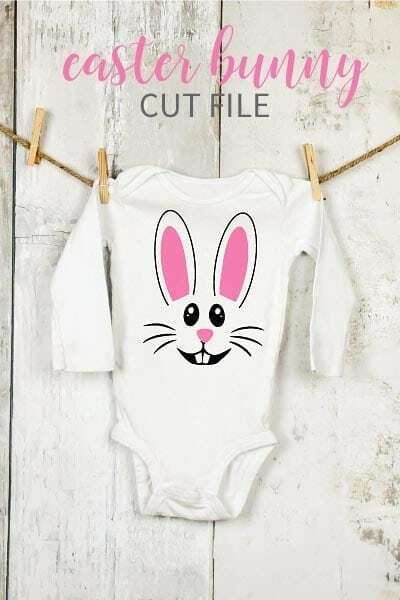 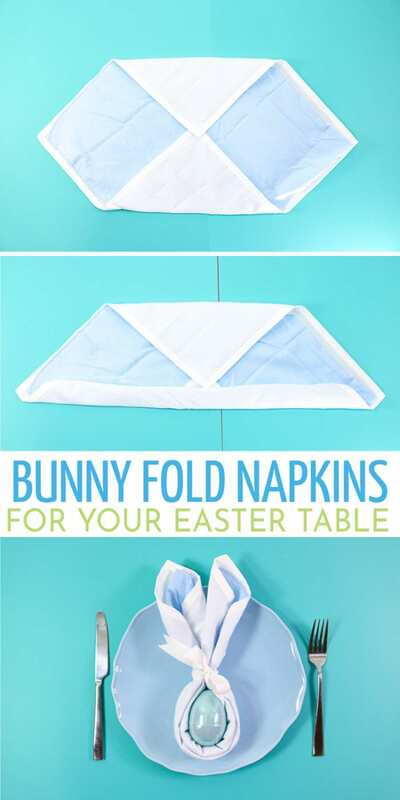 Whether you are hosting Easter Brunch for your entire family or you are just hunting eggs and eating bunny cinnamon rolls for breakfast with your spouse and kids these super cute Bunny Fold Napkins will be a hit at your Easter table! 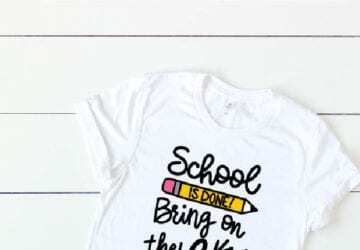 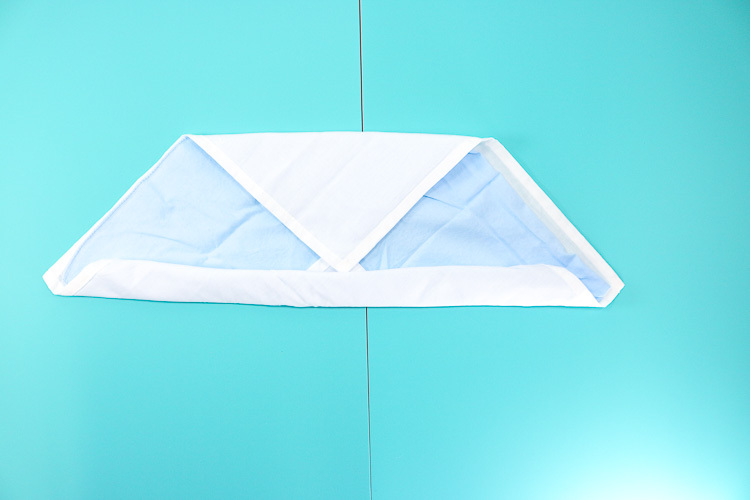 This process is easiest with fabric napkins. 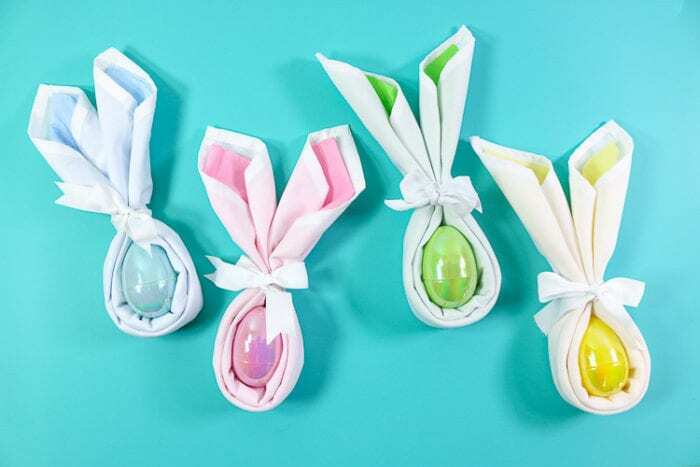 I am using fabric white napkins for all four of these and then the blue and pink bunnies are using bandannas as the colored insert that I picked up in a craft store (or you can use a fabric scrap square) and the yellow and green are using paper napkins from the dollar store. 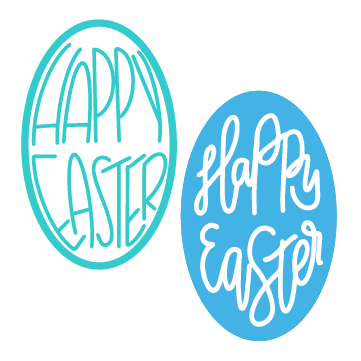 I wanted to show you both ways. 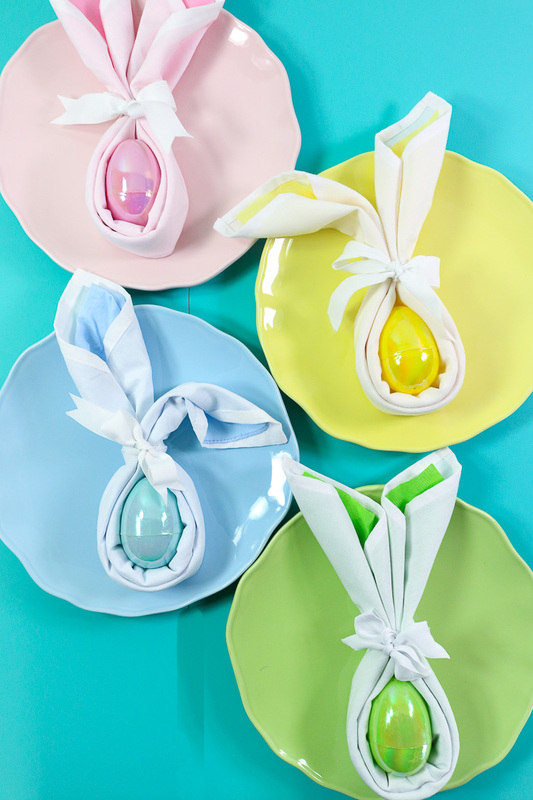 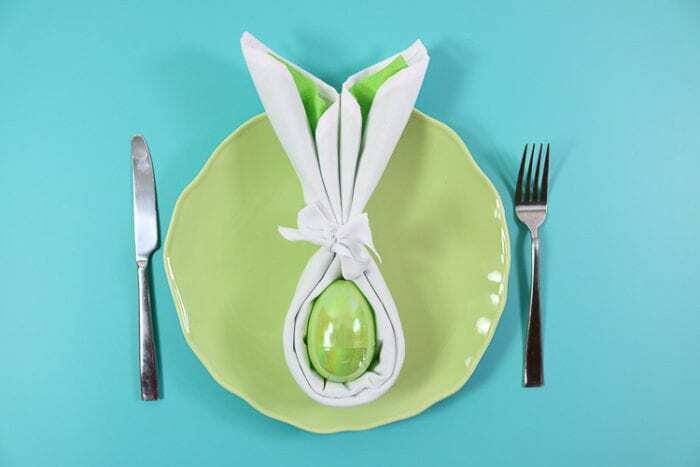 Whip up the cutest Bunny Fold Napkins, perfect for your Easter Place Setting in a few simple steps! 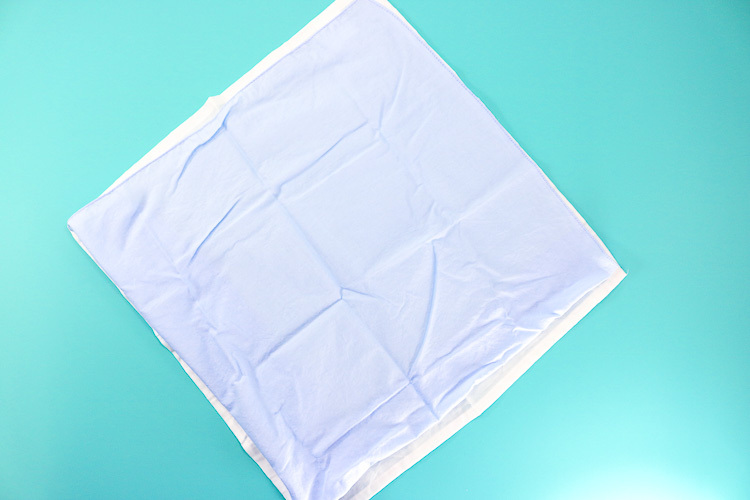 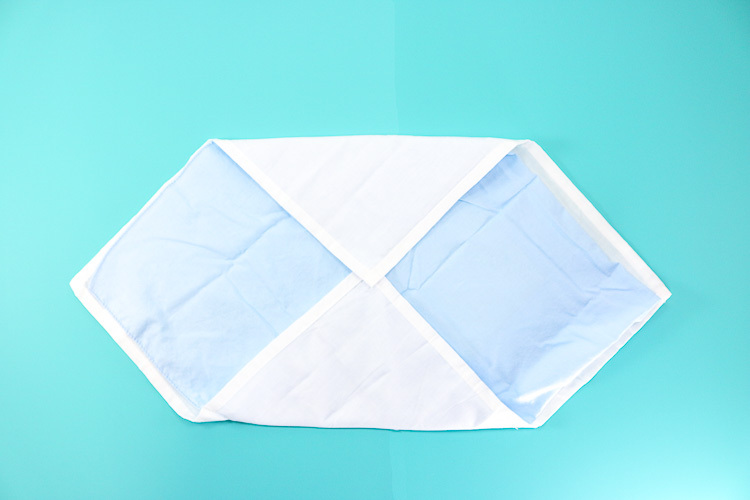 Fold the bandanna if necessary to fit the white outer napkin. 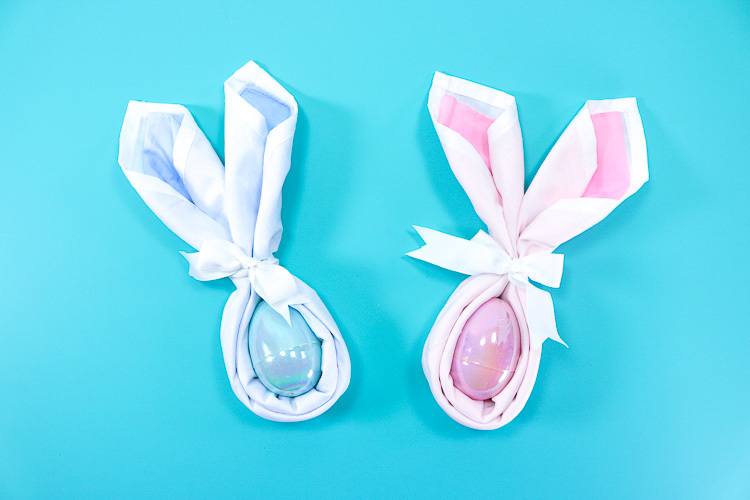 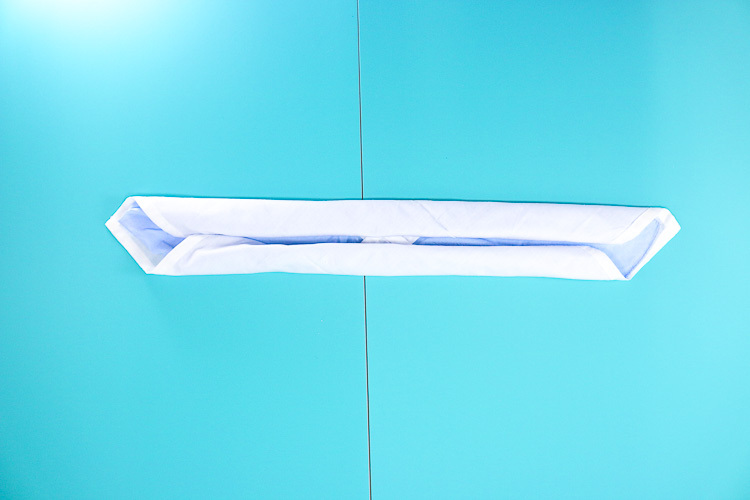 Fold both rolls over on top of each other and wrap around the plastic Easter egg. 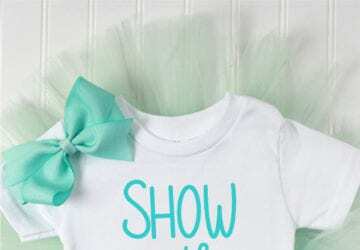 Secure with a ribbon and bow. 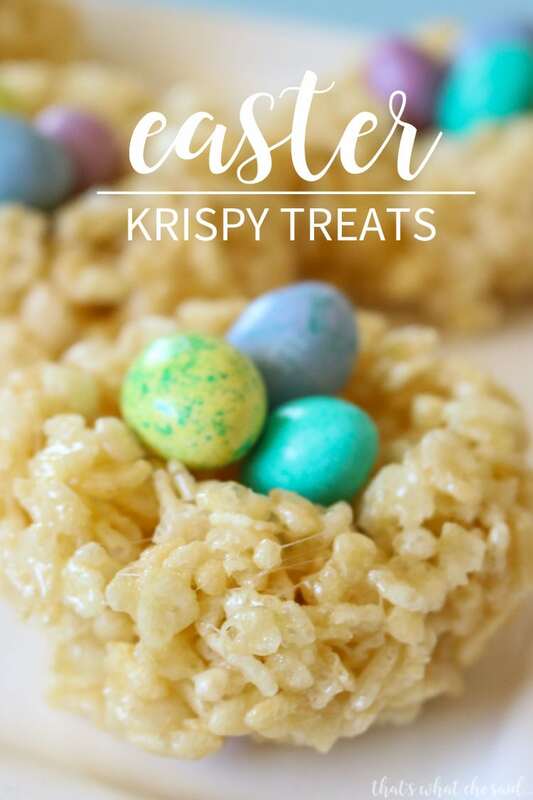 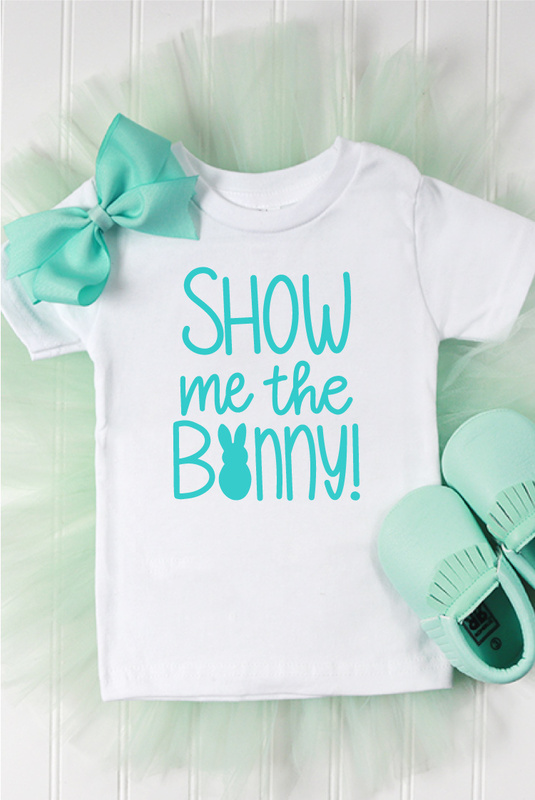 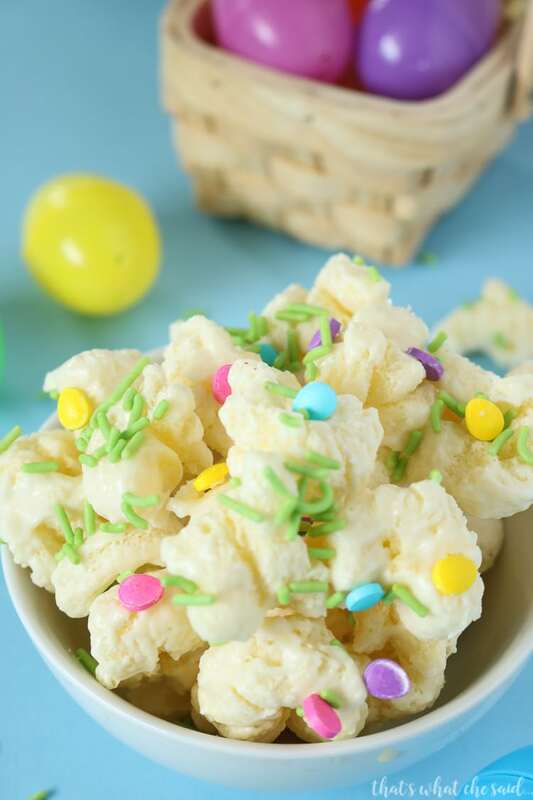 Pre-fill the egg with jelly beans or chocolates for a sweet after meal treat!